At Petswelcome, we’ve always felt that being pet friendly conveys an open-mindedness, benevolence, and a progressive way of thinking. While being pet friendly is important (especially to us), there are other ways hotels can embody that same spirit of tolerance and compassion, one that makes you feel glad that you are giving them your business. Extended Stay America Hotels is a great example of a hospitality group that goes the extra distance: not only are they pet friendly, but they are also involved in helping cancer patients. We love the concept and wanted to take a look at what they’re doing and see if there were any other programs or approaches that we could highlight with regard to hotel chains that are doing good things, not only for animals, but also for humanity and the environment. 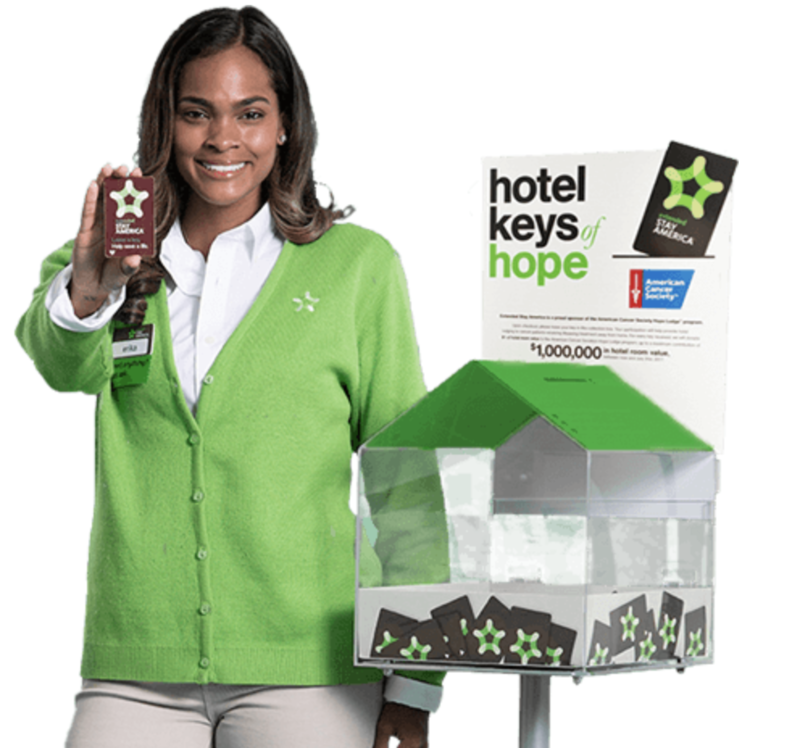 Extended Stay America has been involved with the American Cancer Society since 2013 when they created their Hotel Keys of Hope program which has helped more than 15,000 families overcome the financial stress that occurs when patients need to travel for treatment. This year they are running the program for the month of October, which is also Breast Cancer Awareness Month. How does it work? Like most great ideas, it’s pretty straightforward. Whenever you stay at an Extended Stay America during October, you can drop off your hotel key at checkout in the Hotel Keys for Hope donation box. For every key they receive, Extended Stay will donate one dollar to help cancer patients by deeply discounting their rooms and sometimes offering them for free. Easy. Simple. Brilliant. To that we say, Hurrah! The InterContinental Hotels Group, which is made up of popular hotel chains such as Holiday Inn, Holiday Inn Express, Staybridge Suites, Candlewood Suites and Kimpton Hotels, among many others, has announced that they will be removing plastic straws from its hotels by the end of 2019 and replacing them with biodegradable alternatives. This will eliminate approximately fifty million plastic straws each year from more than 5,400 properties. Laid end to end, the straws would span over 6,500 miles, a distance stretching from New York to Tokyo. IHG is also working to recycle soap bars so that, instead of ending up in landfills, they can be made into new bars and distributed to communities who need them. They are also looking to reduce single-use plastics by introducing bulk-size products to eventually replace miniature bathroom amenities such as plastic containers for shampoo and moisturizing products. Again, we applaud these intelligent and commonsense measures. Speaking of those tiny shampoo bottles, we came across a great idea that you can implement yourself to make the world a better place. Instead of using the shampoos and other toiletries that hotels offer, bring your own and donate your daily ration of shampoo to homeless shelters or other venues that can put them to good use. Snug and warm in a used hotel blanket. 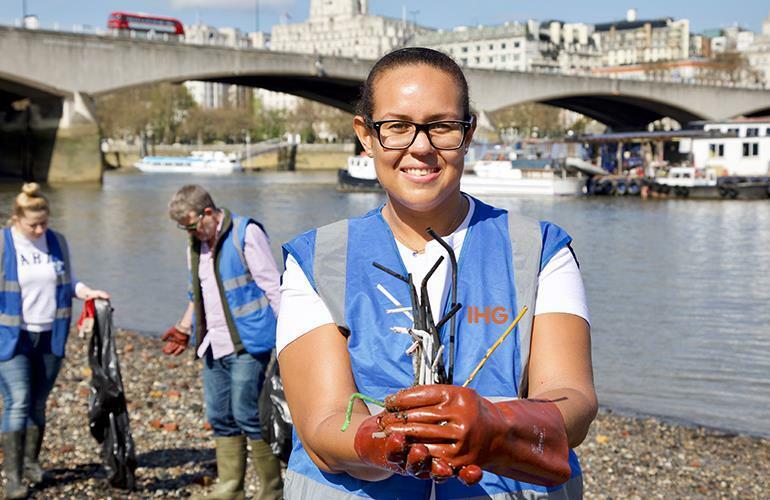 There are also volunteer groups that are doing good things in the hospitality world. 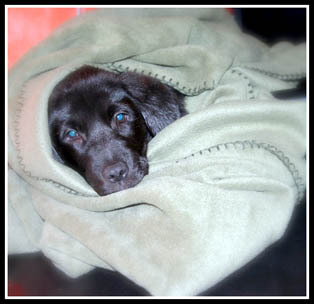 A group called Comfort for Critters collects used blankets that lodgings regularly dispose of and passes them on to animal shelters, thereby eliminating waste while also helping homeless animals. Dogs and cats get the comfort and warmth they deserve while hotels get a tax deduction for donating to charity. It’s a win-win scenario that we’d like to see more of. It seems the deeper we looked, the more good and creative things we found going on in the hospitality business. In this day and age of discouraging headlines, it’s great to see corporations and people coming up with creative solutions that make life better for people and animals alike.